Doug has over 30 years’ experience in a variety of Line, HR and Consultancy roles with businesses in both the private and public sectors. His experience includes Production Management with Decca Ltd, Project Management with Wedgwood and at the same time as being Head of HR he was Head of Operations for Castrol (UK) Ltd – managing the largest lubricants manufacturing operation in Europe. 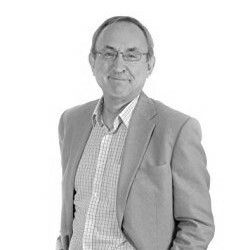 In 1989 he founded TCA Consultants Ltd and established AQR Ltd in 1989 which is now recognised as one of the most innovative (and fast growing) test publishers in the world working in more than 80 countries. AQR established its reputation initially as a leader in Team Building and leadership development. Doug’s work has been featured on BBC Television where Professor John Adair described the material as ‘highly effective’. In recent years, Doug has worked with Professor Peter Clough to define Mental Toughness and to create the world’s leading measure of this attribute. He is now recognised as a leading authority on the application of mental toughness to the worlds of work, education, sport as well as social applications. Doug holds a first class honours degree in Economics and is working on a PhD which will take the Mental Toughness model and measure to the next level. This work will involve examining the neuroscience behind mental toughness. Doug has also contributed to a number of publications and is also author of four books available in a number of languages. Join us to learn more about Mental Toughness – the Entrepreneur’s ‘must have’ and the challenges faced by mentally sensitive entrepreneurs -v- mentally tough entrepreneurs.